They say this has healing powers to cure the common cold. I say it is a great recipe for losing weight. 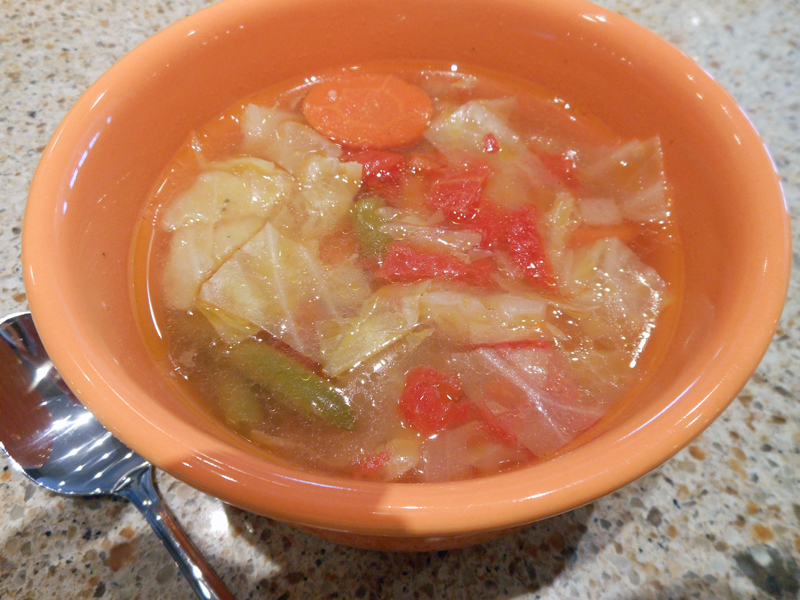 You may want to call it Garden Vegetable Soup, but whatever you want to call it, it is good. And especially good on a cold winter’s day. Stir in water, bouillon, salt and pepper. Bring to a boil, then stir in cabbage. Simmer until cabbage wilts, about 10 minutes. Stir in carrots, green beans and tomatoes. Return to a boil, then simmer 15 to 30 minutes, stirring often. Dixie, This soup sounded delish! I made it on Sunday and it did not disappoint. Thank you for sharing this and many other of your wonderful recipes. Thanks, Marci. I hope this finds you and your family well. Happy New Year!